With less than a decade of foundation, Zmodo has already proved its name in producing video products. Today, the company has entered the home automation and smart home appliances industry as well. Nevertheless, the focus is still on its cameras and video surveillance devices. Apparently, Zmodo has laboratories and headquarters in both United States and Asia. The company is one of the few smart home manufacturers and companies that own their hardware and parts. It is seen that people are much more inclining to this idea since the end-to-end user experience is a lot more tried and tested. Zmodo has a wide-ranged set of products. 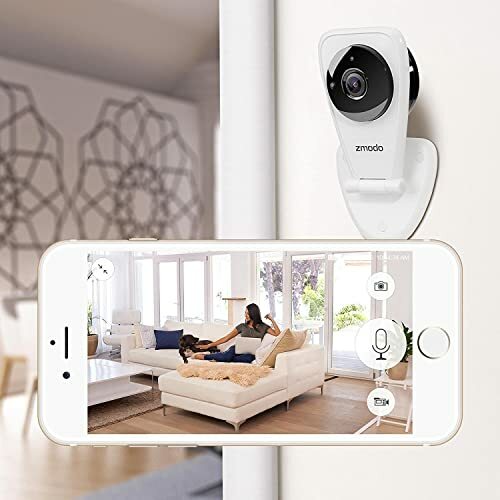 While the numbers of products being provided by the company are still increasing for both cameras and smart home appliances, they take pride in their video and surveillance cameras. One of the newest night vision cameras they have produced is the Zmodo EZCam Wireless Two-Way Audio with Night Vision Cameras. According to the company, they are largely looking after the security concerns of each homeowner and resident. Well, night vision cameras provide homeowners a much clearer views on videos feeds and image captures. They pretty much have the ability to record high-resolution feeds and captures. This makes it very convenient and efficient to almost all homeowners nowadays resulting for them to become more inclined to night vision cameras. With all the hype going on for night vision cameras, Zmodo took the opportunity to release their newest night vision camera with features added for an all-inclusive security coverage. 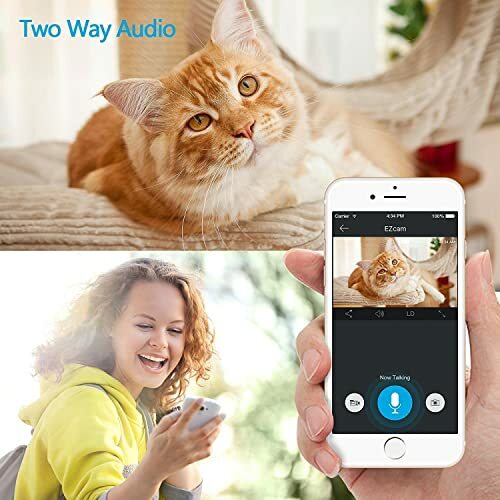 If you are still looking for the best night vision camera and surveillance systems, you may want to check whether the Zmodo EZCam Wireless Two-Way Audio is the most appropriate for you and your household needs. Here are the key features that you may want to look at especially if you are trying to compare various kinds of night vision cameras that are largely available on the market today. While these key features are not the most luxurious and distinct of all, they are quite efficient as well. Zmodo EZCam provides a 720p full HD wireless camera that can capture a high-resolution image and video. It would be much easier to see what is really happening in the area that is subjected to the camera. Also, it has a wide-ranged view which means you no longer need to tilt or pan. It provides a 115-degree wide-angle view of the subjected area. If you install it in your room, it could show you the whole view of the room in one viewing only. But, note that this is a wi-fi camera. This means you will need to connect to the internet before it could function properly. The Zmodo EZCam Wireless Two-Way Audio requires a stable and protected 2.4 GHz wi-fi connection. For a minimum of 2Mbps speed, the camera will do just fine. And if you are uploading a video feed or screen captures on to the cloud, you will need a good 4Mbps speed. 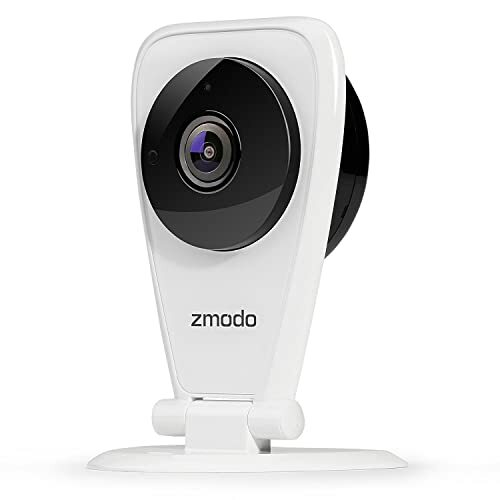 The cameras of Zmodo EZCam Wireless are equipped with night vision features that every homeowner and user can adjust according to their environmental needs and requirements. It is designed to have an adjustable sensitivity so that it could adjust depending on the location and surrounding of the owner. These adjustments can efficiently control the automatic infrared night vision. This view can actually reach up to 26 feet. Moreover, it can detect and sensor motions in both day and night visions. According to actual homeowners and users, these motions normally include human activities, animal movements, shadows, shadings, cloud movements, and even plants – especially in a windy weather. The hype for this camera is in its capability to make connections between the end user and the person being monitored to. The overall package includes a microphone and an audio that are equipped in the camera. End users can effectively communicate with the visitors or occupant that are actually inside the subjected area or location. However, audios are not recorded. But still, this can be a great feature since not all surveillance cameras are equipped with this kind of technology. Another innovative solution that has been added to Zmodo products is the application enabling. Owners and users can download a decent Zmodo app into their smartphones, desktops, and tablets. In the application, this is where the notifications, warnings, and alarms are sent. Also, you can monitor the subjected area using the app. You can stream and watch over the place that has been placed under surveillance. And since this camera is app and web enabled, all the footages and image captures are stored both in local and cloud. In a local storage, the camera is also equipped with SD card that can accommodate enough videos and images. This is great if you are not interested in subscribing to cloud storages. On the other hand, cloud storages are also offered to users and owners. All of the things recorded will be automatically synced in the cloud as long as there is a stable wi-fi connection. As for space and storage, there is a free subscription but the storage is limited. For an unlimited space, you will need to have a subscription. And it would actually depend on your preferences whether you will go for it or not. Ultimately, the Zmodo EZCam Wireless Two-Way Audio is a decent surveillance camera. If you want a simple, effective, and affordable camera, this is your go-to product. But, if you are looking for a very innovative camera, this mid-ranged product will not be that suitable for your unique needs. Nevertheless, you get what you pay for.